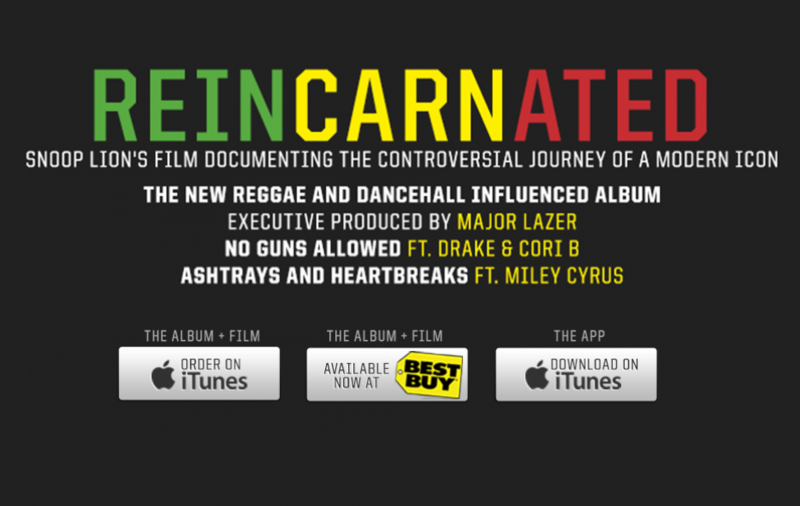 Snoop Lion is speaking up against gun violence, joining forces with BET and League of Young Voters Education Fund to increase the peace in urban communities nationwide. Join the movement by using hashtag #NoGunsAllowed on social media today. The partnership goes live on June 29, 2013, during BET Awards weekend in Los Angeles, CA. The League of Young Voters Education Fund, Snoop Lion and BET will host “No Guns Allowed: Disarming Violence in Our Community,” a roundtable dialogue on the impact of gun violence in urban communities. The League of Young Voters also enlisted the NAACP Youth & College Division and Casey Family Programs to join the cause and sponsor the event. 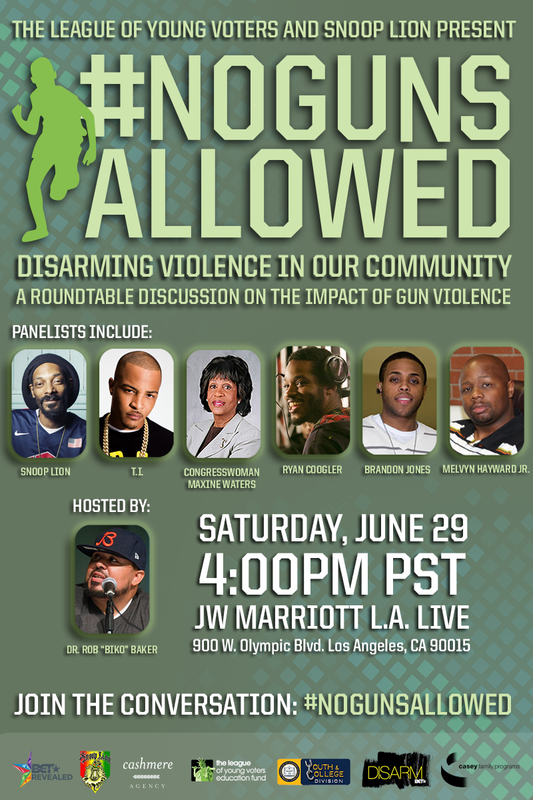 Confirmed panelists for the roundtable include Snoop Lion, T.I., Congresswoman Maxine Waters, H.E.L.P.E.R. Foundation Executive Director Melvyn Hayward Jr., writer and director of the critically acclaimed movie on gun violence Fruitvale Station Ryan Coogler and Executive Director of New Generation Foundation, Brandon Jones.